We continue our look at Vision Engineering's Mantis line with a focus on the Mantis Elite (see our previous look at the Mantis Compact model). The Mantis Elite Stereo Microscope is a high performance viewer created for a number of precision tasks requiring magnification. As with the Mantis Compact, Vision Engineering's Mantis Elite model also features their patented eyepieceless technology designed to promote enhanced head movement for the operator and the ability to wear glasses, if needed. And boasting magnification options up to 20x, the Elite can offer long working distances and large depths of field (please refer to the Optical Data chart below). These features, along with its 3-D imaging, create an ergonomic advantage that reduces eyes fatigue and helps increase productivity. A number of accessories and packages, in addition to the Mantis Elite head unit, are available at QSource.com. 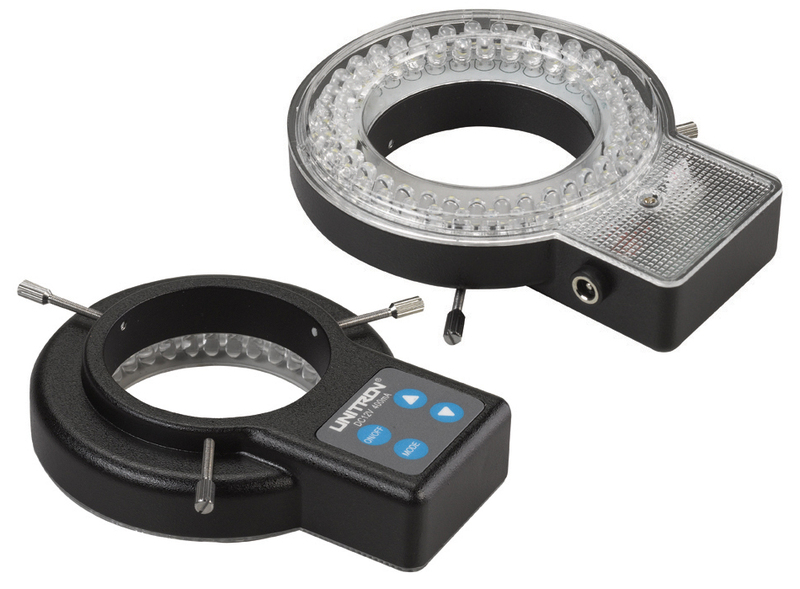 We have a selection of objective lenses and stands (including a universal stand for flexible simplicity and a bench stand for applications requiring more stability) ready to add to the head unit. Also, as with the Mantis Compact model, Q Source has put together two Mantis Elite packages for our Web site (the MEH-001/MES-005US Mantis Elite Series Stereo Microscope Visual Inspection System w/Universal Stand and the MEH-001/MES-006US Mantis Elite Series Stereo Microscope Visual Inspection System w/Bench Stand). Please note that these packages do not include an objective lens. Our Vision Engineering Mantis Elite Visual Inspection Stereo Microscope page has all the information you need to make a purchase or learn more about these high-tech viewers. You can also visit our main Mantis Stereo Microscopes page. For additional assistance, please contact us by email or phone at 800-966-6020. Is this a typical scenario in your work area? Workers required to stand for long periods of time. ESD-sensitive items that need to be transported and protected in that work area. 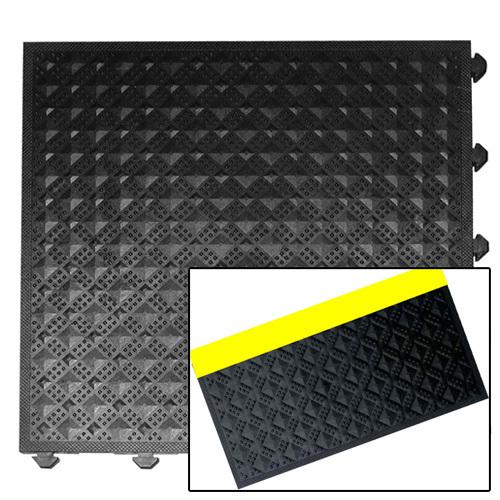 Transforming Technologies has combined their expertise in ESD with a high-quality floor mat to create their ESD Interlocking Tile PVC Floor Mats. 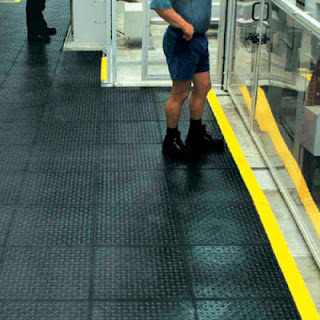 These PVC tiles were designed as an ergonomic flooring solution for use in the harsh conditions/heavy loads found in industrial environments and to provide comfort for workers who are on their feet all day. Transforming Technologies' Interlocking Floor Mats were manufactured to act as a spring through the use of their unique under structure called "compression columns." When weight is applied, this "spring" counters the negative effects of impact or prolonged standing. This technology is based on a proven ergonomic concept that increases user comfort. The other important feature of these floor tiles is their ESD properties. Manufactured to meet or exceed the standards of ANSI ESD-S20.20 and ESD 4.1, Transforming Technologies' ESD Interlocking Tiles have a surface resistivity between two points (RTT) of 1.0 x 106 to 5.0 x 108 ohms, which is the ideal dissipative range. When used with a common ESD control item (such as wrist straps, grounding cords, and footwear), these mats will safely dissipate or neutralize ESD charges. Because of the interlocking design of the tiles, installing and configuring a floor is relatively easy. The main floor section can be surrounded by black or high-visibility yellow, non-ESD ramp edging to provide a safe transition to the ESD area. A grounding plate and other wires or cables can be installed underneath the tile flooring. A typical cleaning regimen, sweeping, vacuuming, washing (with a mixture of 30% distilled water and 70% isopropyl alcohol, sprayed on and wiped with a clean cotton cloth), is appropriate to remove dirt or debris. To learn more about these durable and reliable ESD Interlocking Tiles from Transforming Technologies please visit QSource.com. Our expert staff can also help you find everything you need to create a floor area specific to your needs. Please contact us at 800-966-6020 or via email. Vision Engineering's Mantis line of high-performance magnification stereo microscopes offers three different state-of-the-art models (Mantis Compact, Mantis Elite, and Mantis Elite-Cam) with a variety of features perfect for a range of tasks. The Mantis Compact model provides a high-value, low-investment inspection stereo microscope that excels in the low-magnification range perfect for inspection, manipulation or rework applications. One of the most important features of the Mantis Compact is Vision Engineering's patented eyepieceless technology (found on all three Mantis models), which provides an ergonomic advantage allowing the operator greater freedom of head movement and to wear glasses, if needed. Furthermore, the Compact features simple 3-D viewing that shows the apparent distance to the viewed object image identical to that of the real object, cutting out the need for refocusing, and minimizing eye fatigue (please see the Optical Data chart below). These innovations lead to increased productivity. 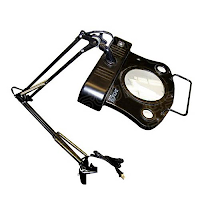 In addition to the Mantis Compact head unit, there are a number of objective lenses and stands available (including the Universal Arm, which offers simplicity and flexibility; the Articulated Arm, which is for extended reach applications; the Rigid Bench Stand, which provides added stability and substage illumination options; and the Floor Stand with Articulated Arm, which allows for inspection of immobile subjects). Q Source has also created two Mantis Compact packages (the Vision Engineering Mantis Compact Series Stereo Microscope Visual Inspection System w/Universal Stand and the Vision Engineering Mantis Compact Series Stereo Microscope Visual Inspection System w/Bench Stand) available at QSource.com. These packages do not include an objective lens. For further information, or to purchase, a Vision Engineering Mantis Compact Visual Inspection Stereo Microscope head unit or one of our Mantis Compact packages, please visit QSource.com or contact us via email or at 800-966-6020. Our experienced associates will be happy to assist you in building the exact Mantis Compact to suit your needs. If you're working with sensitive electronic devices you know the importance of being ESD safe. Our February Social Networking Sale is focused on providing you with excellent savings on a top-notch ESD solution. Save an EXTRA 10% OFF rolls of Transforming Technologies MT 4500 Series Two-Layer Rubber ESD Table Mats. 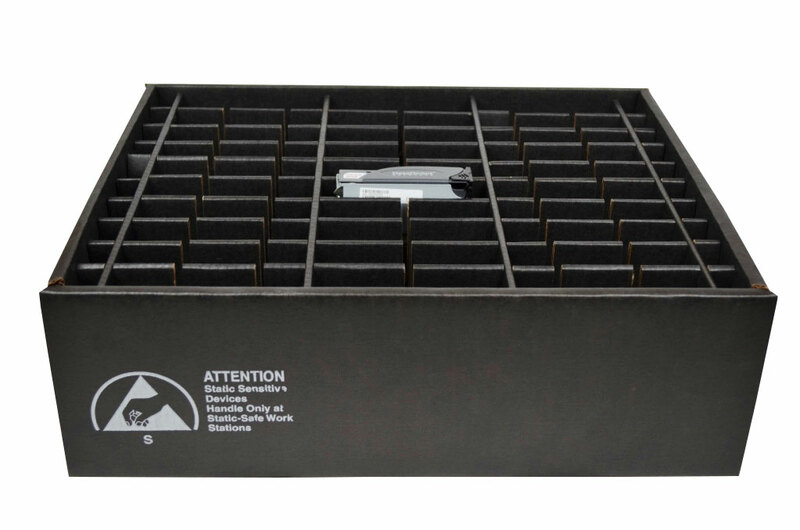 Created to meet or exceed the requirements of the ANSI ESD-S20.20 standard (and also the recommendations of ESD 4.1), these 0.08" thick MT Series Mats feature a 2-ply rubber construction of a conductive bottom layer and a static-dissipative top layer with ESD specifications of 8 x 106-8 ohms resistance to ground, 2 x 106-8 ohms resistance point to point, and 0.01 seconds charge decay (5kV to 50V). The MT 4500 rolls eligible for our discount offer are available in four colors (Nasa Blue, Royal Blue, Green, and Gray) and four sizes (24" x 50' x .080", 30" x 50' x .080", 36" x 50' x .080", and 48" x 50' x .080"). All you need to do to take advantage of this money-saving offer is "Like" us on our Facebook Coupons page (if you haven’t already). After you've done that, you'll have access to the discount code for all of our subsequent monthly offers. The EXTRA 10% OFF offer on rolls of Transforming Technologies MT 4500 Series Two-Layer Rubber ESD Table Mats expires on 2/28/13 and cannot be combined with other offers. Cleaning business equipment (including toner and dust) and dealing with hazardous material requires quality, professional tools. 3M's line of electronic/HEPA vacuums and accessories were designed for high-efficiency cleanup of a number of tasks. 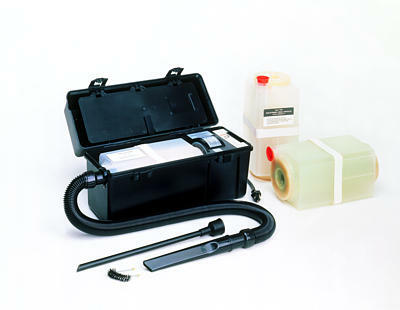 QSource.com also carries 3M's 120-volt, 1-horsepower 497AJK HEPA Vacuum. This HEPA model offers quick and easy setup and operation with the added benefit of portability. Made for handling hazardous materials with its included HEPA filter, the vacuum also ships with a crevice brush, crevice nozzle, curved wand nozzle, 10' stretch hose, and a detachable power cord. Please visit our Web site for all your 3M vacuum equipment and accessories. We also offer an extensive selection of 3M ESD, labeling, and tape products. Q Source is your 3M resource. For additional information, contact one of our experienced associates at 800-966-6020 or via email. Everyone loves to save money; especially on the things they really need. With that in mind, we created the Clearance Center at QSource.com. Our Clearance Center offers great deals on dozens of in-stock, ready-to-ship items from a wide variety of categories. For instance, this Pos-A-Loc Needle Flux Bottle for Rosin Flux from Plato is just $2.67 and this MG Electronics Triple Lens Magnifier Lamp is a great value at $46.65. Among our other items you'll find anti-static ESD solutions, tapes & adhesives, hand tools, and testing equipment often at discounts of 25% or more. Q Source's list of Clearance Center items changes often and features many industry-leading brands including Lindstrom Precision Tools, Static Solutions, Techspray, and the recently added Avery, CleanTex, Elkay Plastics, MG Electronics, and TE Connectivity. Check back often for new quality items at excellent low prices. Our friends at Weller recently paid a visit to the Q Source headquarters. And, boy, did they ever bring us a couple of cool, new items to play with: The WX1 Single-Channel Soldering Station and the WX2 Two-Channel Soldering Station. These two new ESD-safe soldering stations from Weller feature a variety of options, many of which were inspired by customer feedback. The main difference between the two is that the WX1 accepts one tool (e.g., a soldering iron) at a time, while the WX2 accepts two tools (soldering irons, tweezers, etc.). Each model has identical temperature range (adjustable temperature range varies among tools (100°C – 450° C | 200° F – 850° F)), temperature accuracy (+/- 9° C (+/- 17° F)), and temperature stability (+/- 6° C (+/- 10° F)). Looking at these units, you immediately notice the solid, German-built craftsmanship and that trademark Weller blue color. Turning these stations on reveals a pleasant, blue LED back-lit touchscreen (made of anti-static, chemical- and temperature-resistant glass) with LCD text, which is viewable from all angles. The units are easily controlled by six touch keys and the radius finger guide that provides turn-and-click navigation. Tool temperatures are quickly and easily selected via these touch buttons and dial-like radius control. A closer look at the screen reveals a slew of important information including which tool is plugged into the unit, what the current temperature setting is, and what preset temperature options are available. The WX2 unit is similar, except it displays information for both attached tools. The front of the soldering station features a convenient layout of three ports (four on the WX2). First there is/are the tool receptacle(s) with quick-change connectors for attaching soldering irons, tweezers, etc. Next, we have the RJ45 port (a second one is on the back of the unit) to manage fume extractors, heating plates, etc. And, finally, a new feature is a multi-purpose USB port for quick firmware updates, data logging, and parameter configuration. In addition to these Weller Soldering Stations, we also have a wide choice of WX1/WX2-compatible Tips, (RT Series, XNT Series, XT Series, RTW Series), Soldering Irons (WXMP Micro Soldering Iron with WDH51 Tool Stand, WXP65 Soldering Iron with WDH10 Tool Stand, WXP120 Soldering Iron with WDH10 Tool Stand, WXP200 Soldering Iron with WDH31 Tool Stand) and other products. To place an order for the Weller WX1/WX2 Soldering Stations, or for more information, please visit QSource.com or contact us via email or at 800-966-6020. We recently had a visit by Tom Krisulewicz of Weller Tools. Tom brought in the new Weller WX2 Soldering Station and gave us an overview of the lineup of Weller WX Series Digital Touch-Screen Soldering Stations. 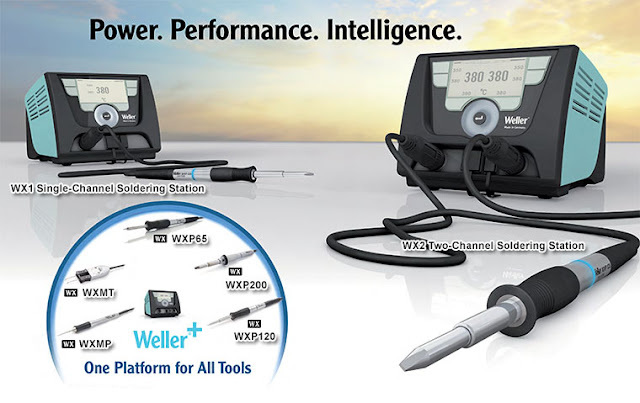 Weller's WX Series Soldering Stations provide high-powered performance to control a variety of tools, while keeping energy costs down with programmable sleep modes and quick temperature adjustments. The WX2 model shown in our video is a dual-channel soldering station, while the WX1 is also available as a single-channel soldering station. To learn more about, or purchase, any of the Weller WX Series Soldering Stations and accessories please visit QSource.com. 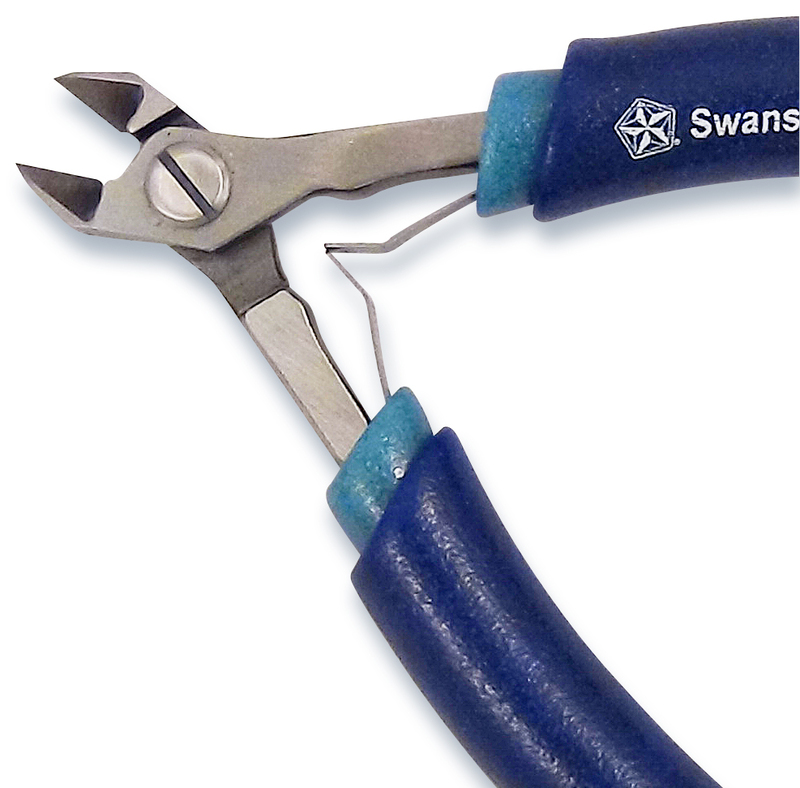 Our Web site also features a large selection of other Weller Tools soldering solutions. 3M™'s wrist strap workstation monitoring systems provide peace of mind and save you the time of manual monitoring. Now, they'll save you money as well. From now until April 30, 2013, save 20% off our regular list price on 3M's Single Wire Continuous Monitors. Providing automatic monitoring of the connection integrity of the entire ground loop, the 3M WSMONITOR1 (Q Source SKU: S036-000096), WSMONITOR2 (Q Source SKU: S036-000446), and WSMONITOR3 (Q Source SKU: S036-000447) are compatible with most standard wrist straps. Completely automatic, these systems activate when a wrist strap is plugged into the unit. The monitors display a green light for a safe condition and alert you to an unsafe condition with a red light and tone. All three units feature a 6.5 megohms trip level, single wire impedance, and include a 120VAC adapter. The 3M WSMONITOR1 Single Wire Wrist Strap Monitor (0.88" x 1.75" x 1.25") tests one wrist strap/person. The 3M WSMONITOR2 Wrist Strap Monitor (1" x 2.4" x 2.3") tests one wrist strap/person and the bench mat. And the 3M WSMONITOR3 Wrist Strap Monitor (1" x 4" x 2.4") tests two wrist straps/people and the bench mat. Visit Q Source's 3M Single Wire Continuous Monitors page to place an order. You can also contact us via email or at 800-966-6020. QSource.com offers hundreds of other 3M static control products. Please note: 3M strongly urges that, before using this product, you must evaluate it and determine if it is suitable for your intended application. You assume all risks and liability associated with such use. The history of tweezers goes back more than one hundred years, with most people thinking they are just these pointy little metal things. Jim LaFrance, of Excelta Corporation, recently stopped by our office to clear up that misconception and give us a quick lesson on the evolution of tweezers. Excelta knows tweezers and Jim filled us in on their development, over the past twenty-five years, of new tweezers to meet emerging applications. He began by showing us standard precision-point tweezers and miniature tweezers, moving on to specialized tools like wafer handling tweezers, replaceable tip tweezers, surface mount tweezers, and cutting tweezers, then finishing up with the latest ergonomic tweezers with ESD-safe grips. To learn more about, or purchase, any of the more than 360 Excelta Tweezers we offer, please visit QSource.com. Our Web site also features a large selection of other Excelta products including their wire cutters and pliers. Each month our Social Networking Sale offers shockingly good discounts. February's offer is meant to protect you from shocks, but impress you with savings. This month get an EXTRA 10% OFF rolls of the MT 4500 Series Two-Layer Rubber ESD Table Mats from Transforming Technologies. These MT Series mats are made of durable, 2-ply rubber with a conductive bottom layer and a static-dissipative top layer offering outstanding electrical performance specifications that meet or exceed requirements of ANSI ESD-S20.20 and the recommendations of ESD 4.1. The 4500 Series mats eligible for our February offer include four roll sizes (24" x 50' x .080", 30" x 50' x .080", 36" x 50' x .080", and 48" x 50' x .080") in four colors (NASA Blue, Royal Blue, Green, and Gray). For example, the MT4524B Mat roll is NASA Blue and 24" x 50' x .080". You can check out all of the eligible mats at the Transforming Technologies MT 4500 Series Mats section of QSource.com. So, save on this quality ESD product by heading over to our Facebook Coupons page and clicking the "Like" button (if you haven't already). You'll then get the discount code for 10% OFF Transforming Technologies' rolls of MT 4500 Series Mats at QSource.com and be registered to access all future monthly discount codes. Our February sale ends on 2/28/13 and cannot be combined with other offers.